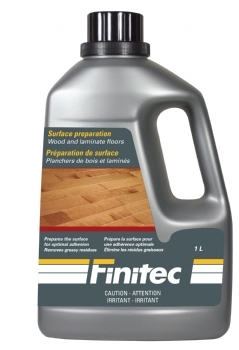 Finitec Surface preparation is specially designed for wood and laminate floors. It prepares the surface for optimal adhesion of the finish. Easy and ready-to-use, Surface preparation works within 5 minutes and removes any contaminants.